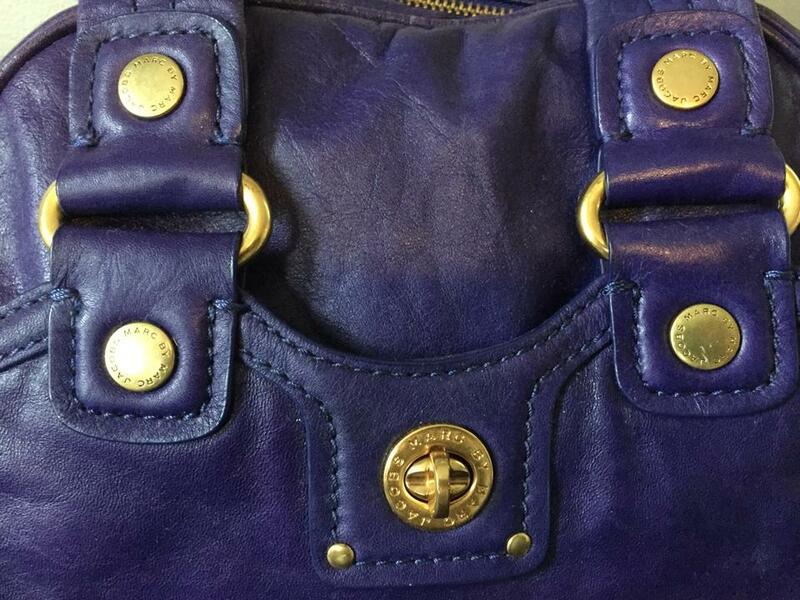 Marc by Marc Jacobs Totally Turnlock Baby Aidan Bowler Satchel. 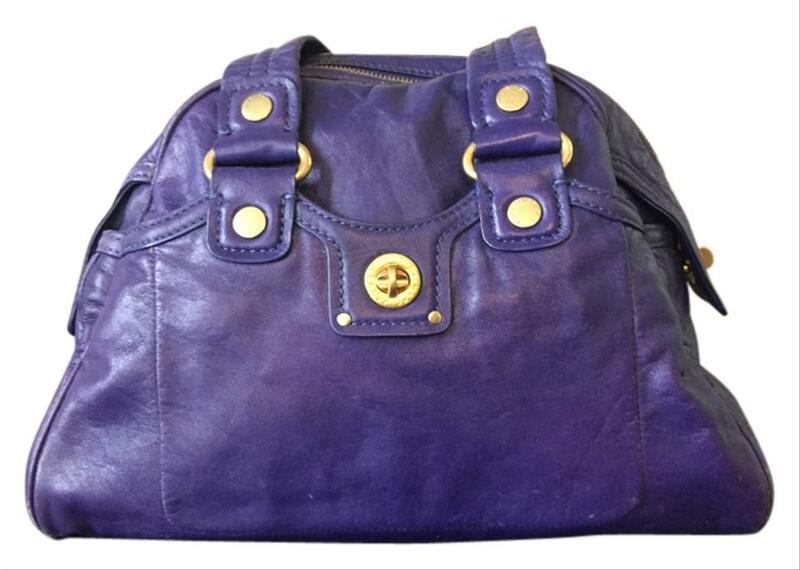 This bag is a beautiful purple leather accented with gold tone hardware. 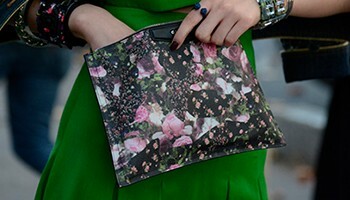 It features two padded handles making it easy to carry with a drop of approximately 6". 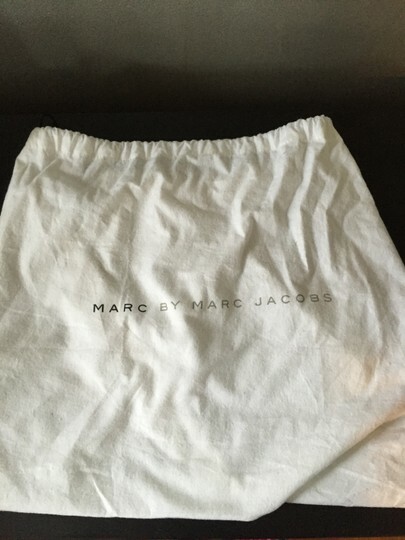 It measures approximately 14"H x 10"L x 6"D. There is a front slip pocket and two side slip pockets all of which feature the turnlock closures engraved with "Marc by Marc Jacobs". The top closes with a metal zipper keep your essentials secure. 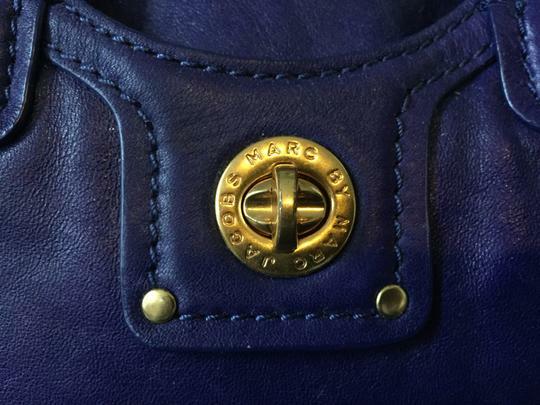 Inside, it's lined with the signature Marc Jacobs logo fabric with one side zipper pocket and two slip pockets on the other. All zippers feature the "Marc by Marc Jacobs" metal pull ties (YKK). It is a quality bag in excellent condition, used only a few times. The interior is spotless. 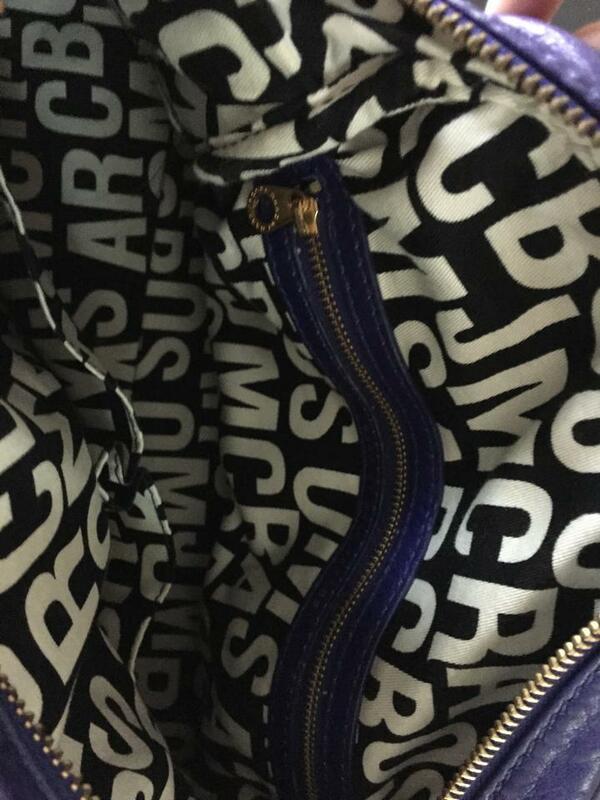 It sits on four metal feet. All imprinted with the "Marc by Marc Jacobs" signature hardware. Dust bag included.